Jim, Matthew and I just got back from an interesting trip to Rancho La Puerta, just outside of Tecate. That’ll be the next thing I write about, but I just wanted to get another Spanish lesson in. If you click on the link below, and just listen to the examples, you will find how easy Spanish can be—even for me and Matthew. Jim has a lot of talent when it comes to language, but none of us are what you would call academic types (to say the very least). This guy, Marcus Santamaria (who is from Australia of all places!) really makes it easy. At first I thought he must be from a Spanish speaking country, but this is not the case. Marcus went through the trials of learning Spanish, and came out the other end with this great course. So let’s turn it over to Marcus (and our visit to Rancho La Huerta will just have to wait a couple of days). My brother discovered that Frankie’s dad’s first name was Jesus. Of course Frankie’s dad Jesus (HEH SOOS) was Spanish. to pronounce it as Jesus. to make 55 other Instant Spanish Words. have you speaking real Spanish you can use right away. Excuse my delay in answering. We just changed Internet servers to better handle the large number of visitors to our site. Yes, Ensenada is safe. However, here is my advice on the safest route to get there. It will also shorten your mileage. I assume you must be taking highway 8 to San Diego – then to Tijuana, and on down to Ensenada. Don’t – you will do best to avoid the chaos in San Diego. Instead, a little bit after Jacumba there is a major interchange where you should turn off and go south on Ribbon wood. (If you want to spend the night in a nice place, go into Jacumba – there is a beautiful hotel there – cheap and with sulfur springs and pools. Then, in a couple of miles you will hit old highway 80, where you will go right (west). Continue on old highway 80 until you hit highway 94 going south west. After you pass through Potrero, California, 94 veers south to highway 188, which is Tecate Road, which will take you right to the border crossing into Tecate. )If you are towing a trailer, and are over 65 feet you will have to go the San Diego way.) You might gas up in Tecate, as it only costs $2.40 a gallon in Mexico. From Tecate, you can either take Mexico 3 which takes you through the beautiful Guadalupe Valley wine country, or take the new Tecate – Rosarito road which brings you to the Pacific south of Rosarito Beach. This is Mexico 1, which going south gets you to Ensenada. Again – Ensenade is safe. Tijuana? We had problems with the police wanting bribes in TJ. Thanks for the compliment. I have sent you my email address offline. I love your blog! 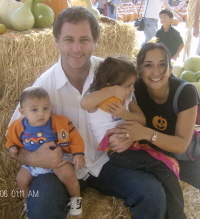 You are an excellent source of information for Mexicali and a great advocate for Mexico, on numerous levels. I would love to discuss your blog with you in more detail. Could I please have your email address so I can send you a more detailed message? 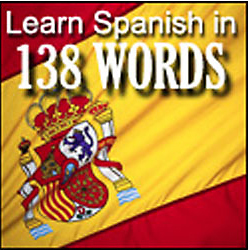 Thank you for the useful site, I am studying Spanish through http://www.121spanish.com at the moment. Hopefully I can speak fluent Spanish soon.